I often mix up general and special relativity, so I’m creating this to remind myself of the differences between them as well as the utterly fascinating elements of each. Matter and energy are equivalent, which is captured as e = mc2. The laws of physics are the same for anyone sharing the same inertial frame of reference. The speed of light is the same for all observers, regardless of how fast the source is traveling. As objects approach the speed of light their length, as viewed by observers, shortens in the direction of travel. As objects approach the speed of light, time slows for them relative to observers. As an object’s speed approaches the speed of light, it’s mass increases such that it approaches infinite mass at velocity c, and c can never be reached. No normal object can reach or exceed the speed of light. There is no such thing as a truly simultaneous event unless observers share an inertial reference point. In other words, when you ask if something is simultaneous or not, you have to also ask the relative speeds of the observers. It’s called the “special” theory of relativity because it refers to physics when NOT undergoing acceleration and/or within a gravitational field. When a significant acceleration or gravitational field is in play, General Relativity becomes a consideration. What I find remarkable about this theory is that it doesn’t actually mean “everything is relative”, as if to say that there are no constants in the universe or something. In fact it’s saying the exact opposite. What he did was allow you to translate measurements from one observer to another when they are moving relative to each other. In other words he uncovered the universality of the physical laws and elegantly explained how they appeared different to different observers. General Relativity says that gravity is a type of acceleration caused by the bending of spacetime around massive objects. The best visualization of this is a bowling ball in the center of a trampoline. The center is distorted in towards the bowling ball, while the edges remain flat. Using this warping, it’d be possible to quickly roll a marble around the dip in the trampoline so that it orbits the bowling ball. In the Newtonian model, and to a common observer, it appears as if the bowling ball is attracting the marble and holding it in orbit. But what’s really happening, according to Einstein’s General Relativity, is that the marble is falling towards the bowling ball because space (the trampoline) is warped. This is considered one of—if not the most—beautiful of all physics theories. It means that acceleration and gravity are the same, which is why you have to accelerate to enter orbit around the Earth. You have to overcome the opposing acceleration of 9.8m/s/s imposed by the Earth itself. 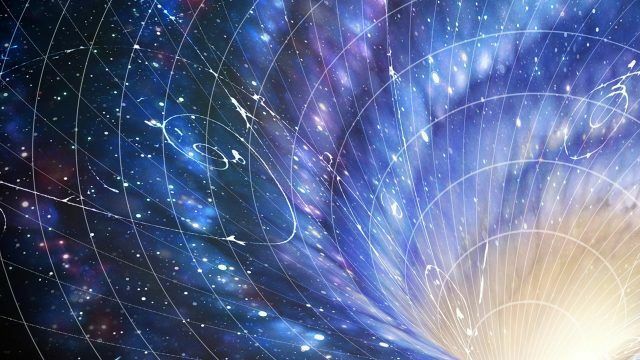 Special Relativity is about time and space being tied to each other in something called “spacetime”, and says the laws of physics are the same everywhere in the universe, most notably the speed of light regardless of the speed of the light source or observer. Special Relativity says that in order to see that the laws are identical for observers traveling at different speeds relative to each other you must translate the measurements made based on relative motion. Special Relativity refers to objects that are not undergoing acceleration, i.e. they either share the same inertial frame or are trailing at different speeds and directions from each other but without acceleration. “Special” basically means “without acceleration”. General Relativity simply says that objects warp spacetime and create a type of acceleration around them called gravity. I’m not a physicist, so I’m sure there’s lots of opportunity for improvement here. I hope they are good enough to convey basics, however. When I say “observers” I mean relative to the thing traveling. Special Relativity was published in 1905 and was ignored for over two years before being noticed. General Relativity was not published until 1916.